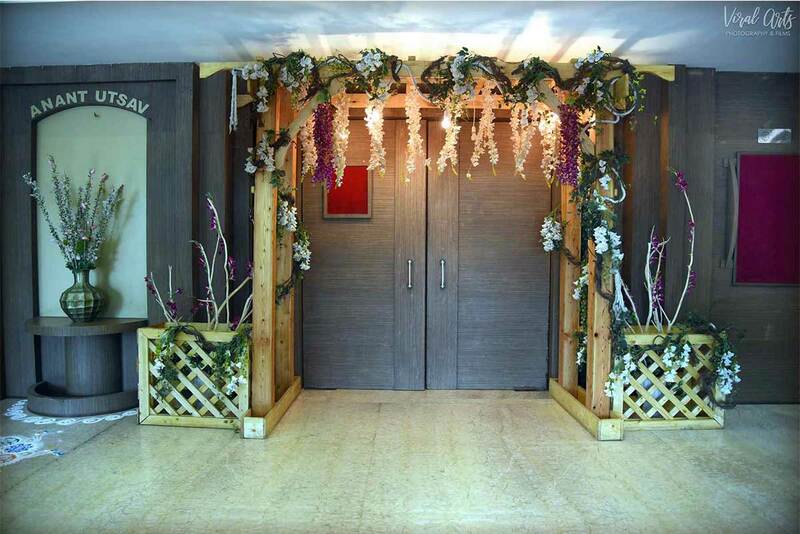 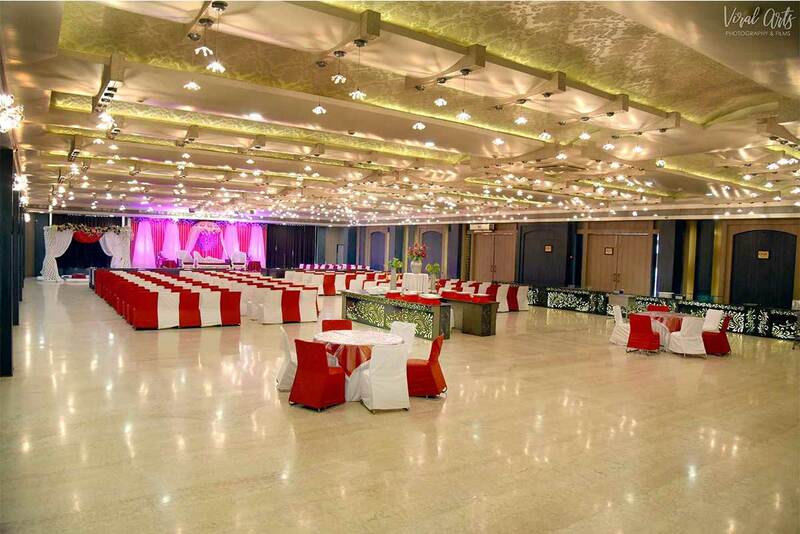 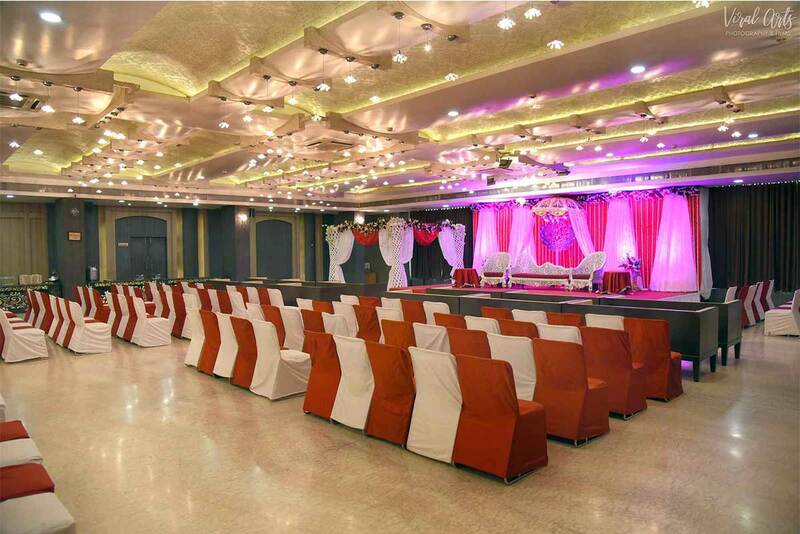 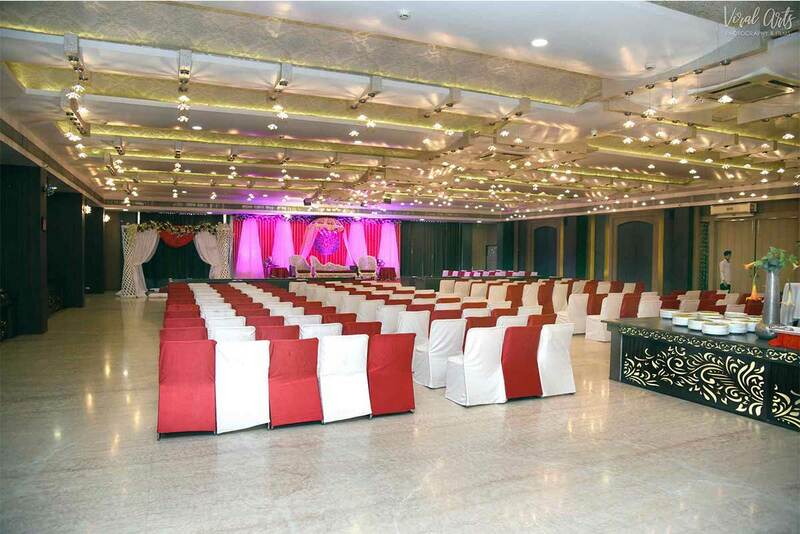 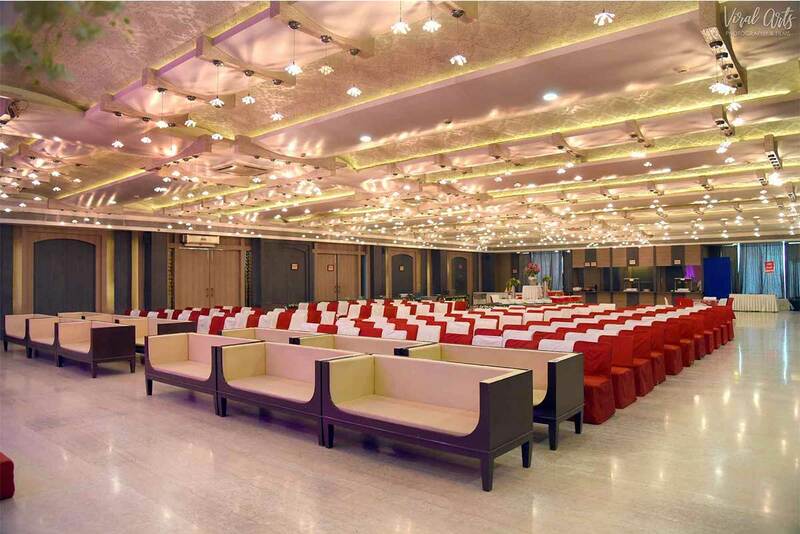 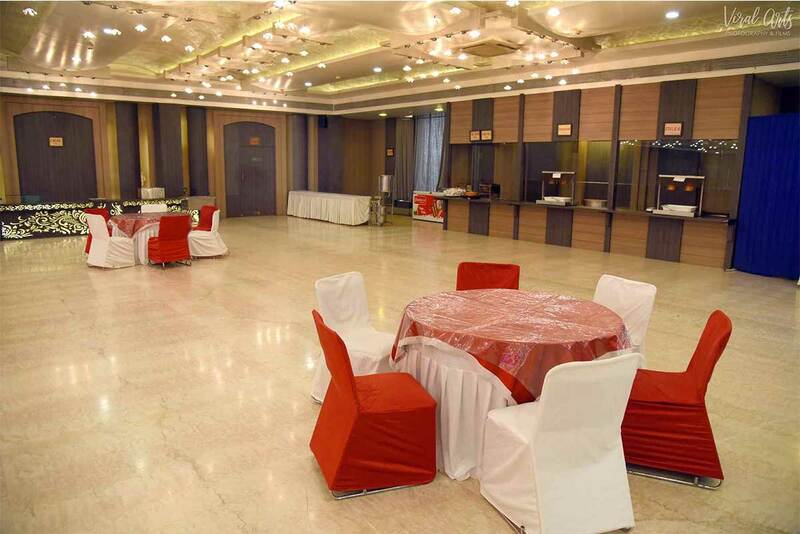 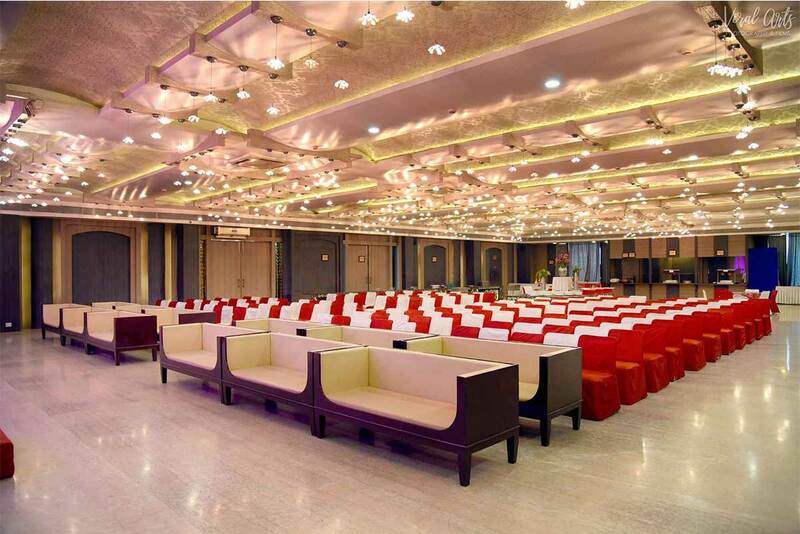 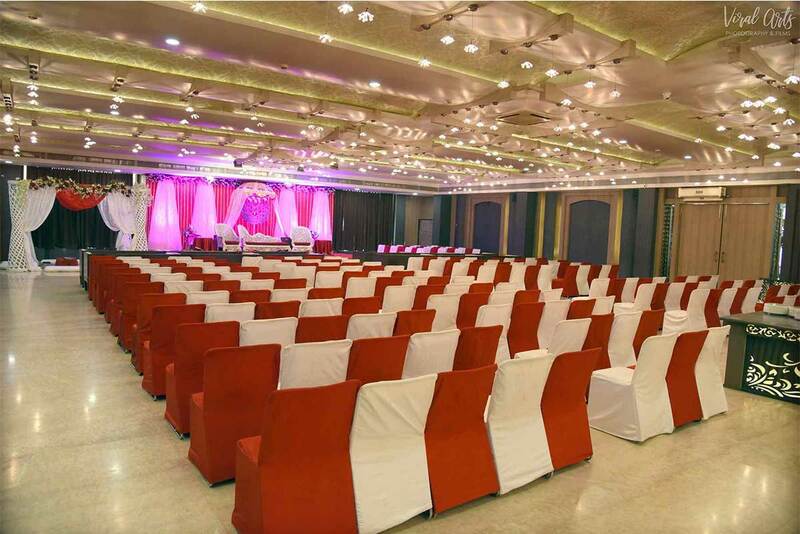 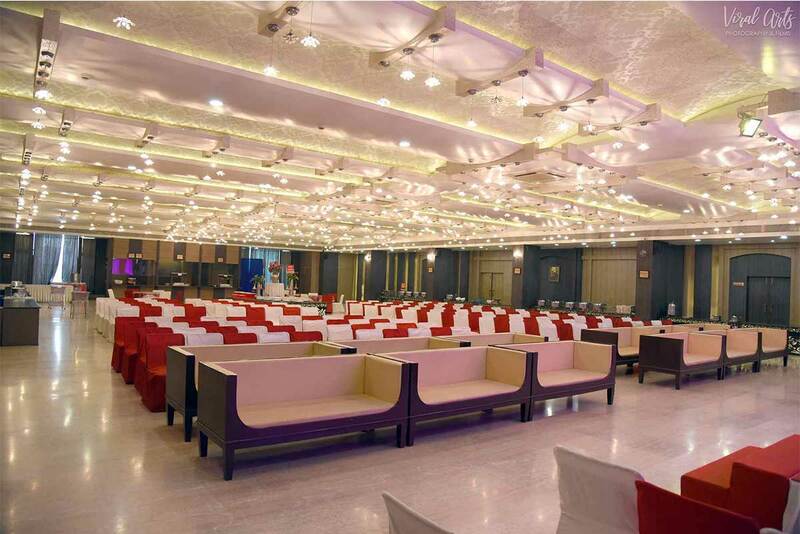 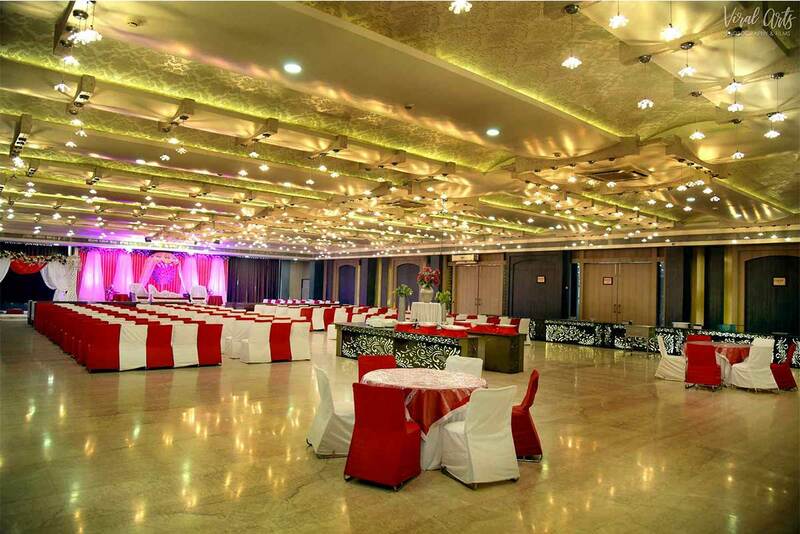 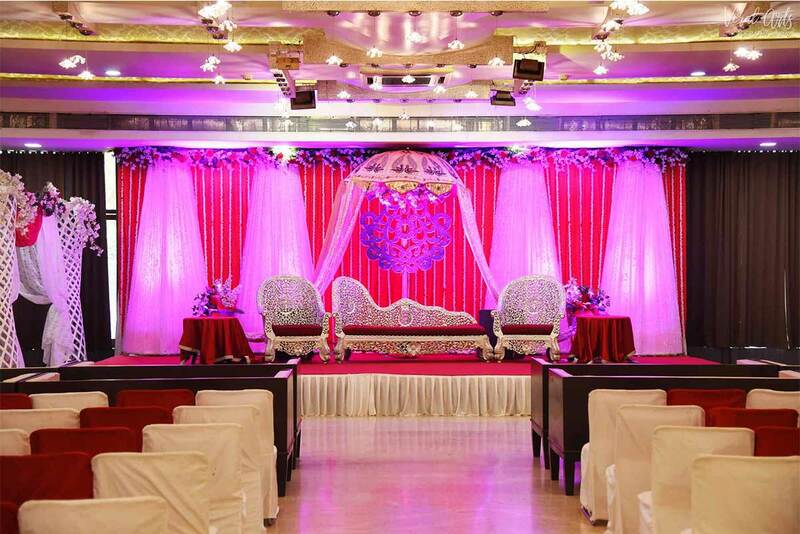 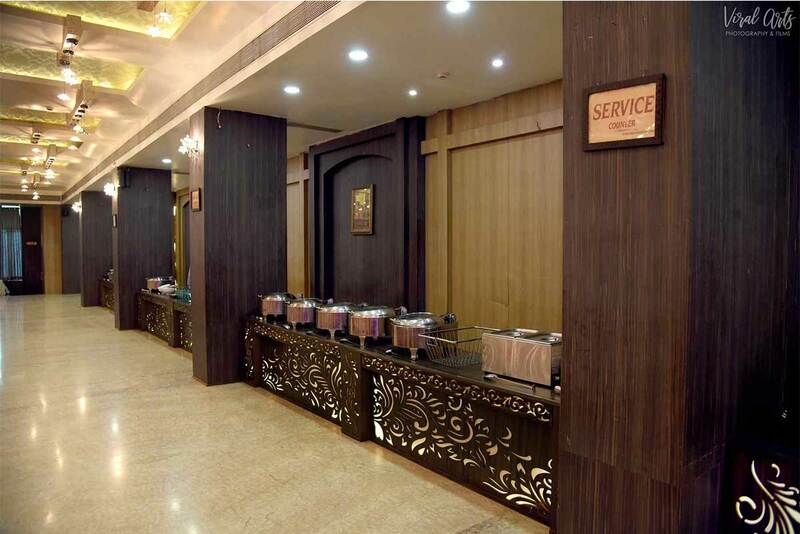 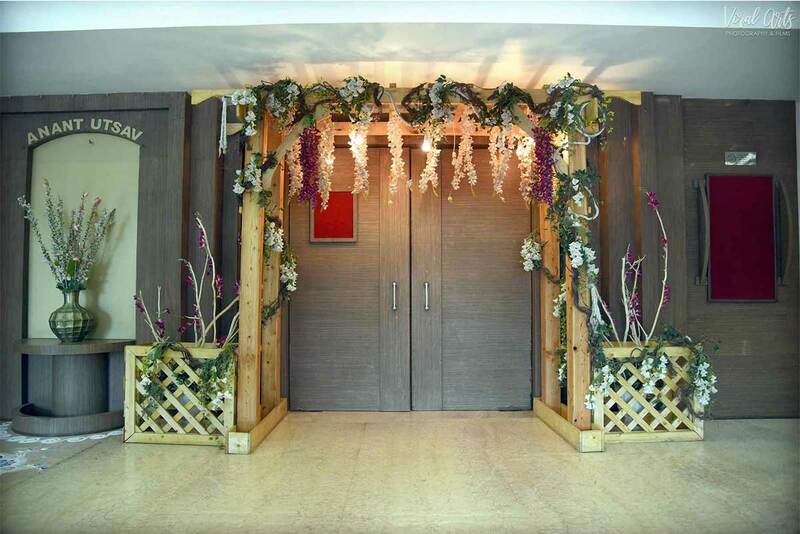 VENUE: Anant Utsav(+2 Room Attached), LOCATION: First Floor, CAPACITY: 800 / 1000, THEATER STYLE: 900, CARPET AREA: 8000 Sq.Ft. 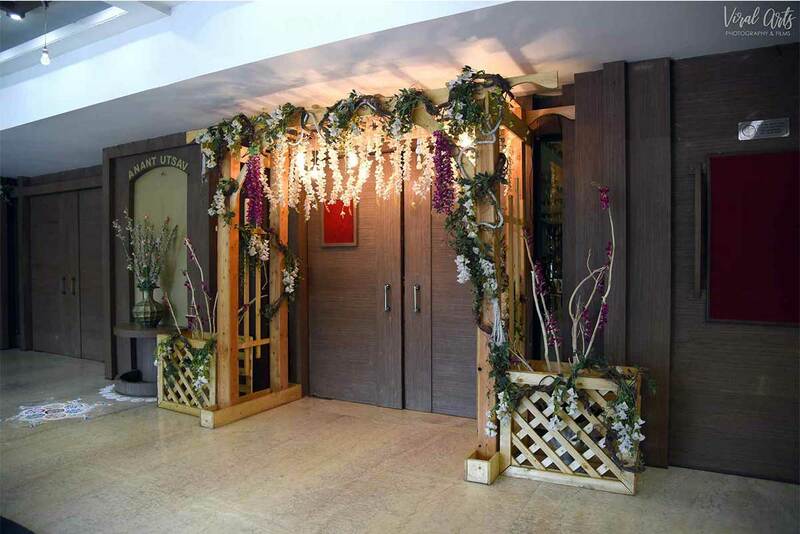 Not a piece of architecture as other building are, Real Royalty comes from the Visit. 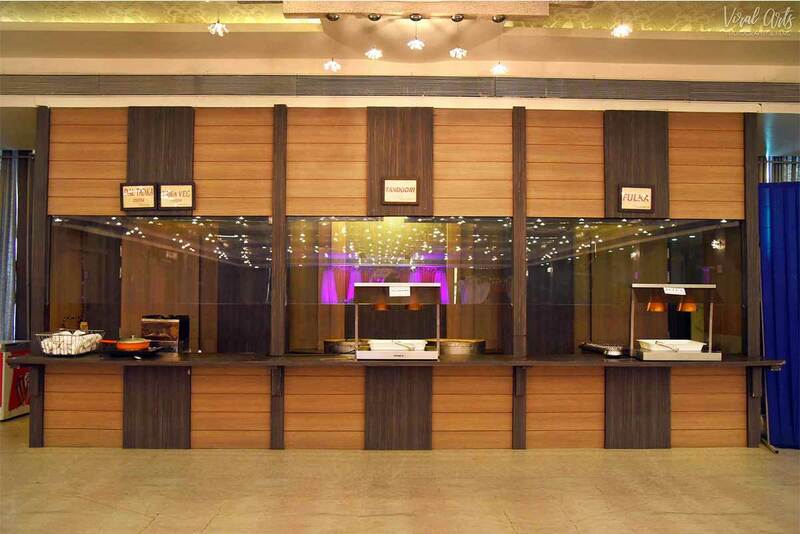 The proud & passion of success wrought in living stone. 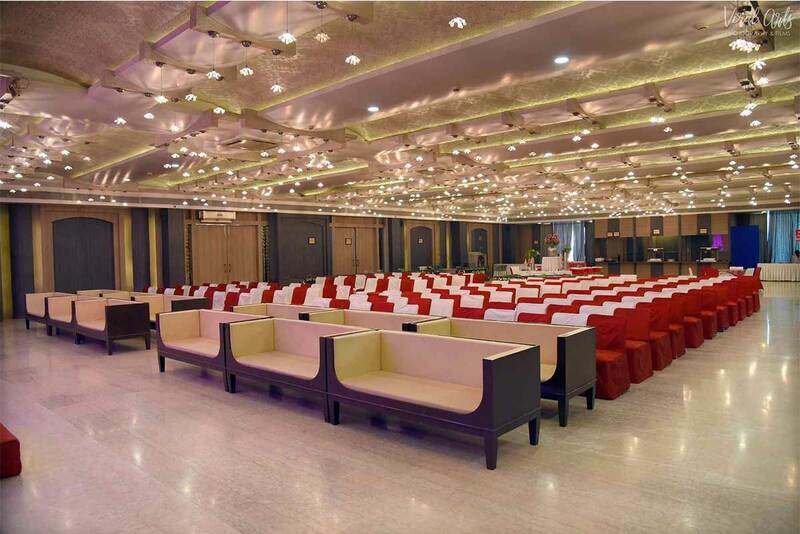 Sunrays sizzling it like sunflower, the royal schedulers seems like falling stars, biggest carpet Area is increasing Grandness of the hall. 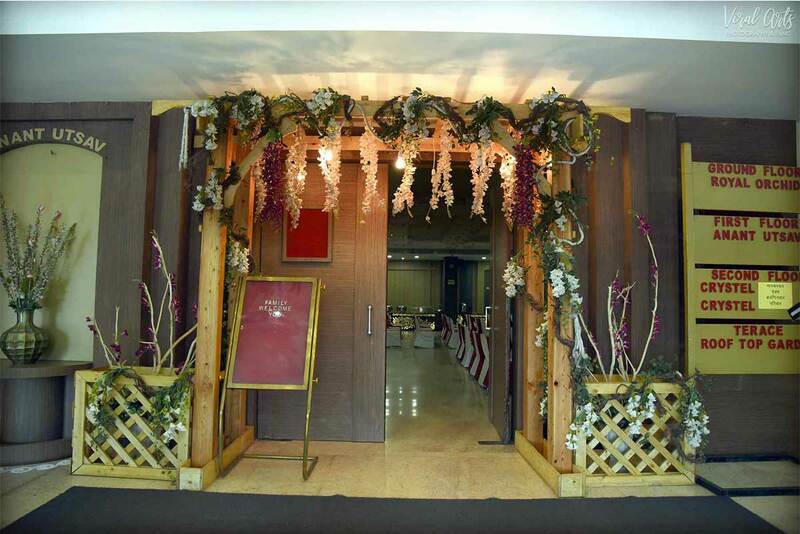 The beyond celebrations Anant Utsav.